Liven up your office space with Frazer and Hawsa�� recently-introduced range of quirky desk accessories. The collection of everyday office essentials includes paper cutters, paperweights, card holders and bookmarksa��sure to make work a little bit more enjoyable. a�?We have played around with a lot of motifs, from the extremely feminine peacock-based blue lagoon letter opener to the macho leopard paper knife,a�? begins Archana Kumari Singh, president of the company, adding, a�?For the blue lagoon paperweight, wea��ve used a Swarovski crystal. Inspired by the feathers of a peacock. It has blue and green flecks, which make it simply beautiful.a�? 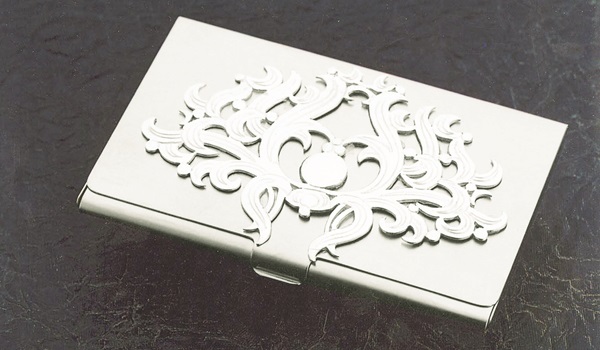 The range also includes the honeycomb motif, which has been interpreted as a paperweight, card holder and pen stand. The majestic jaguar also finds place in the collection in the form of a pen stand, while a stalliona��s head tops an icy blue paperweight. The designers have taken advantage of the branda��s expertise in silver, by combining it with other materials like glass, granite and stainless steel.